How to remove "Rambler. Dating"
Inbox you can just throw unnecessary, but often in your account settings stored a lot of personal data: phone number, name, address, correspondence, etc. Fortunately, mail servers allow you to delete entire account along with confidential information, such as the server of Rambler. Log in to your mailbox service. 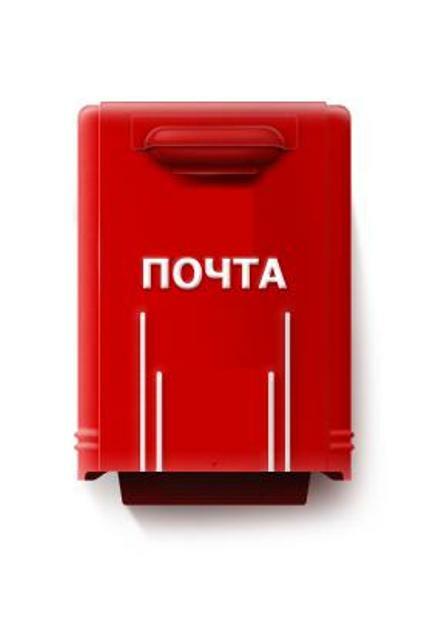 To do this, go to the page http://id.rambler.ru/, enter your username and password. 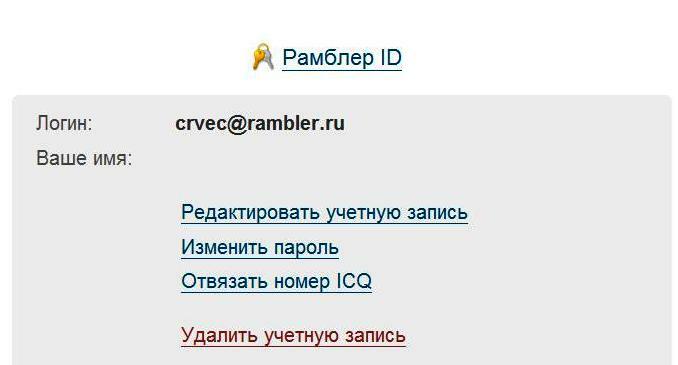 On the new page (its address http://id.rambler.ru/script/settings.cgiclick the "Remove name". Confirm. Now your name is on the service Rambler and removed freely. Can create a new mailbox on this service or go to another page. Advice 2 : How to remove "Rambler. Dating"
"Rambler. Dating"is one of the most popular Dating services on the Internet, which belongs to the company "Mamba". Just register here, however, after a successful experience, users are often the question arises on how to remove your profile. - knowledge of user data, account and password. To remove your own account service virtual Dating "Rambler. Dating", you need to start to go through the authorization process. To do this, go to the website, enter in the appropriate data fields username and password. If you have forgotten your password, click "Login" on the first page of the portal. Then click the link "Forgot password?". Enter your e-mail with which you registered on the site – you will receive a letter with login and new password. Accordance with the user agreement, the service "Rambler. Discover" has the right to use your posted information and other materials posted by you on the website and in the public domain for the development of advertising materials, placement of materials on sites of partners of the company and "for other purposes". In this regard, before you delete a page it is recommended to manually remove or correct inaccurate at all posted on the Dating site information: personal data, photographs, lists of relatives and visits. After authorization and possible removal of your personal data, you must enter the menu of account settings. To do this, select "Settings", then "Delete survey". Your account will be deleted from the lists service "Rambler. Dating" over a month after the command. Thus, to delete your account you need to refrain from visiting this site for 30 days. In the service of "Rambler. Dating" there is a possibility to disable the page without deleting it: in the "Settings" to do this, uncheck "Participate" in "part in the search." It is also possible to switch off individual sections of the page ("Type", "Self", "Dating" and other) in the section "My page" buttons, located next to the blocks. Information portal Rambler, trying to keep up with the times, regularly offers its users all the new features. Weather, horoscope, Dating – these and many services are available as soon as the registration on the website. However, often the is constantly navasivayam friends are forced to leave the vastness of the site and more on it does not appear. check on the website Rambler. To delete your account from the Rambler is quite simple. Same as register e-mail. Just a couple of steps and you can permanently leave the spaces Rambler and predostavleny services. To register on the site, you had in the first place, to create your e-mail. Because through him you get access to all provided by Rambler. Please note that removing your page from the site, you do not lose your email address. And can be used in the same way as before. If your solution once and for all to leave the site of the final, for making the main step you need to go to his page in the social network Rambler. Next, go to menu "Settings". Select "Delete survey". Click on the link. In the window that opens will ask if you really want to delete the questionnaire. If your answer is Yes, click on the appropriate button. In this case, you should know that within thirty days from the date of filing of the application for the deletion of your account, you can still change your mind. On the tenth, twentieth and thirtieth day since the decision about the removal from the site your e - mail will receive the message by following the link which you can cancel the removal and restore the page. If you do not use this option, after thirty days, your profile will be removed from the site. In addition, the Rambler offers to hide your pagewithout resorting to the removal procedure. To do this, you will also have to go to the menu "Settings". Then select the section "Participation in the search" and uncheck the item "Participation". Here you can change other personal settings. For example, in the section "My page" is a function on and off individual parts of pages ("Dating", "Type", "Self" and others). At the right moment by pressing the appropriate buttons, you can quickly restore all your data, again returning them to the page.